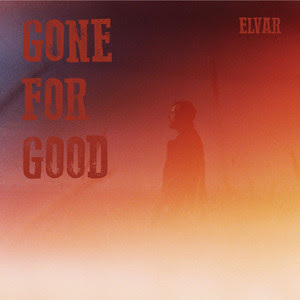 Icelandic singer and songwriter ELVAR returns with his third single Gone For Good, taken from his upcoming debut album which will included the previously released singles One of a Kind and Runaway Heart. I am loving the acoustic guitar melodies and how smooth and captivating his vocals are. The song builds up from a smooth Folk/Country gem into a full on indie-pop gem with punchy drums and an infectious pop hook. It is quite a beautiful piece of music that talks about loss and new beginnings. Stream it below!